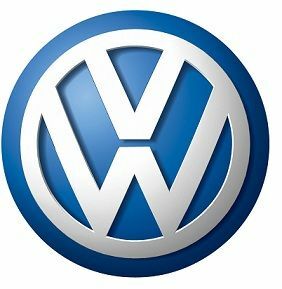 Mexico is Volkswagen’s stop for its 100th plant and it is indeed great news for the country. The plant is set up in Silao having an annual capacity of 330,000 units. It will specialize in the production of TSI engine and is expected to create new jobs. The German manufacturer is present all across the country starting from Puebla for Jetta, Golf, Beetle and Beetle Convertible production, Querétaro for commercial trucks and San José Chiapa for Audi Q5 starting in 2016. The opening ceremony of the plant saw the company's boss along with Mexico's new president hit the start button of the plant. The gleaming assembly line for engines was revealed as the curtain was lifted. The newly hired VW employees stood around the assembly line waving Mexican flags. The auto scenery is taking a high leap and multinational car firms have been instrumental in this phenomenon. Currently Mexico is the fourth largest auto exporter in the world. Also with the economy improving and purchasing power on the rise, auto sales have also boosted in the country. "Mexico is our main product delivery hub for the USA," VW CEO Martin Winterkorn tells CNN. "In this regard Mexico plays a very important role -- specifically for the US market for which we want to produce and sell one million vehicles by 2018." Its neighbor, the United States is a major market for VW as sales soared in 2012 by 26%. The automobile company is expecting further growth. Commenting on the demand in Europe, Winterkorn said, "We do not expect Germany to sustain a heavy drop in GDP. We expect slight growth and stabilization in the automobile market. What concerns us is Southern Europe. We don't see any growth there, but we are hopeful that there will be light at the end of the tunnel perhaps in 2014/15." However he is hopeful about China as he mentioned, "We expect an overall market growth of 8% in China. We have invested and will bring new plants online in China. We think that we'll grow." The company is focusing into growing as one of the biggest carmaker in the world by 2018.